Microsoft's Visual Studio Code is the new supported IDE for C++ and Java development in FRC, replacing the Eclipse IDE used from 2015-2018. 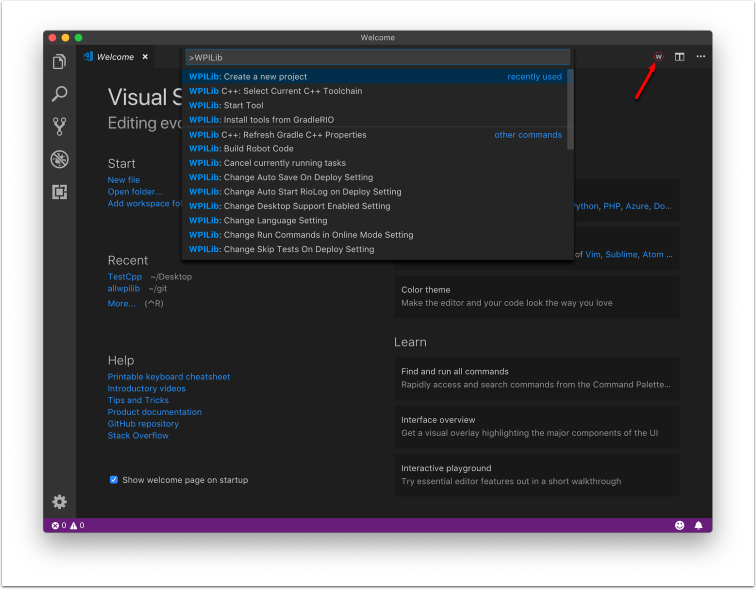 This article introduces some of the basics of using Visual Studio Code and the WPILib extension. Note: If you used the publicly available Visual Studio Code Alpha or the closed Beta, you should create a new project or re-import your Eclipse project. There were breaking changes made to some of the configuration files (such as build.gradle) between releases. When Visual Studio Code first opens, you are presented with a Welcome page. On this page you will find some quick links that allow you to customize Visual Studio Code as well as a number of links to help documents and videos that may help you learn about the basics of the IDE as well as some tips and tricks. You may also notice a small WPILib logo way up in the top right corner. This is one way to access the features provided by the WPILib extension (discussed further below). The most important link to take a look at is probably the basic User Interface document. 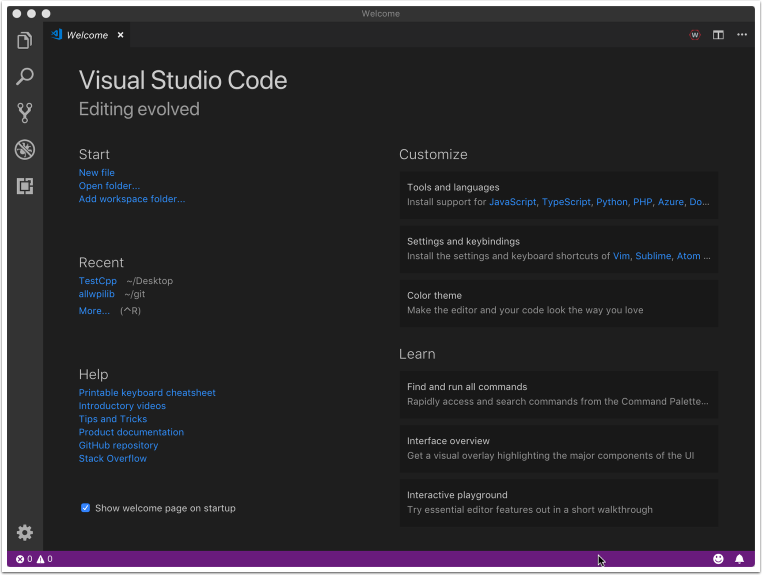 This document describes a lot of the basics of using the UI and provides the majority of the information you should need to get started using Visual Studio Code for FRC. The Command Palette can be used to access or run almost any function or feature in Visual Studio Code (including those from the WPILib extension). The Command Palette can be accessed from the View menu or by pressing Ctrl+Shift+P (Cmd+Shift+P on Mac). Typing text into the window will dynamically narrow the search to relevant commands and show them in the dropdown. In the following example "wpilib" is typed into the search box after activating the Command Palette, and it narrows the list to functions containing WPILib. For more information about specific WPILib extension commands, see the other articles in this chapter.